Spiel is getting closer and closer. 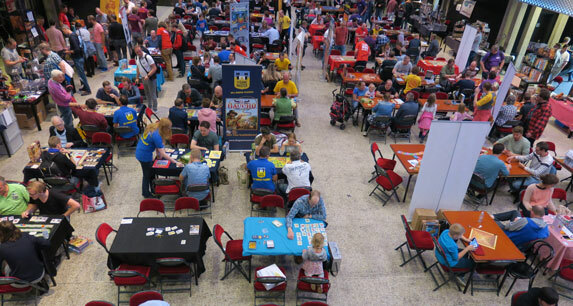 We are exited and prepared for the games fair that takes 4 days in Essen Germany. 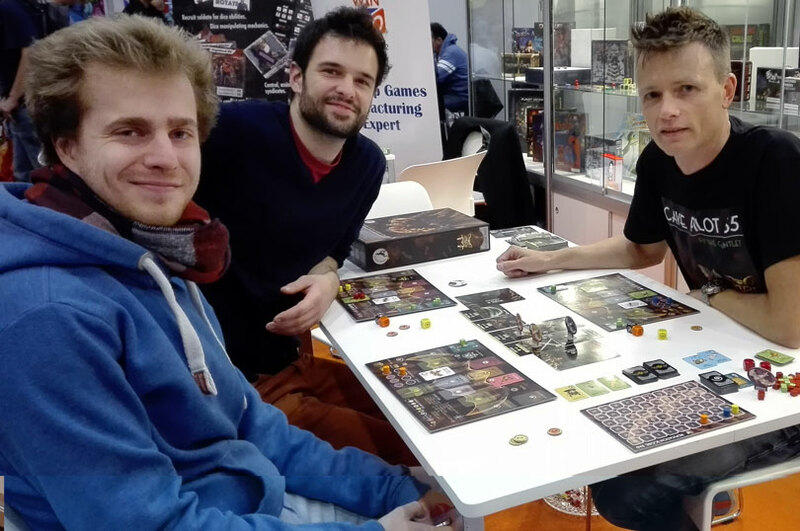 We are present at Spiel from Thursday 26 October till Sunday 29 of October. Visit our booth 8c 110 in Hall 8. 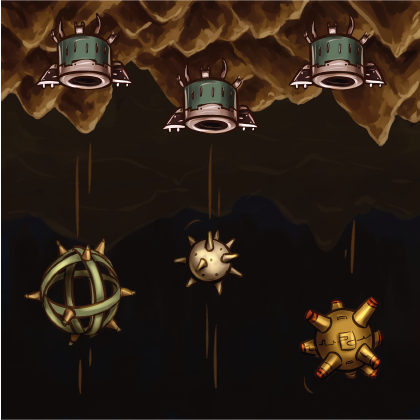 We have demonstrations and a small present for gamers that buy our game. See you there. 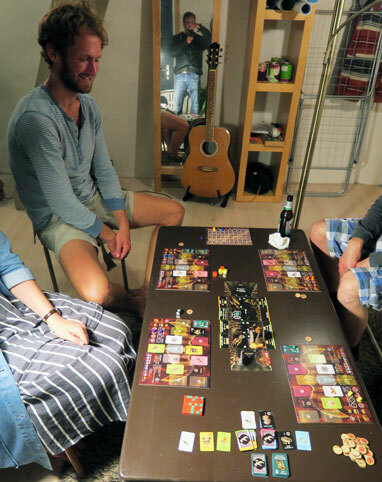 Game night in Wageningen, were we played a three people game with 15 caves (9 yellow, 6 orange cave cards) in total. Mark finished third with 1 point behind the second player that finished. Martijn finished second with 1 point behind the winner (Koen). Have a look at 2 of our posters and a roll-up banner we have designed to present ourselves at the game fairs of Ducosim and Spiel. 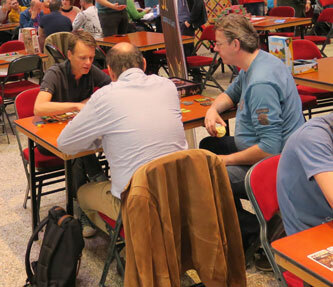 We proudly announce that we will have our own booth (Hall 8 booth 8c 110) at Essen Spiel (26-29 Oct) this year. 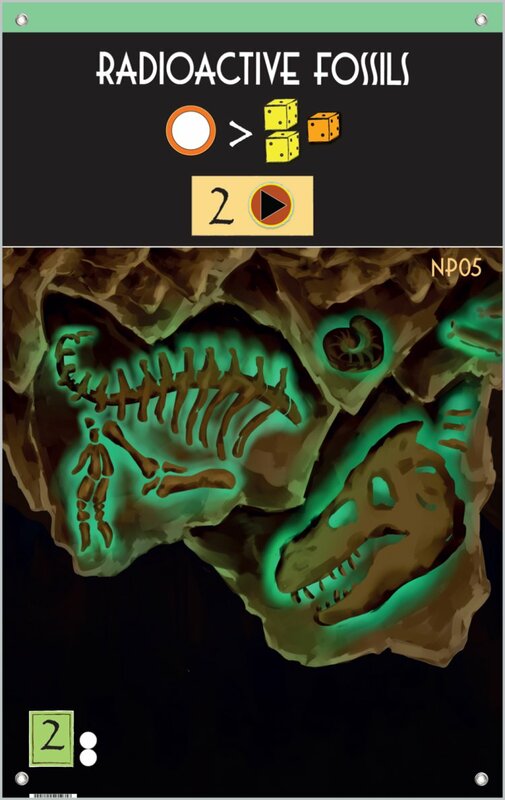 You are welcome to join us and play a game of Cave Pilot 55, or have a look at some of the demonstrations of the game. We are planning to demonstrate beginner games and advanced tactics tailored to the interested gamer. 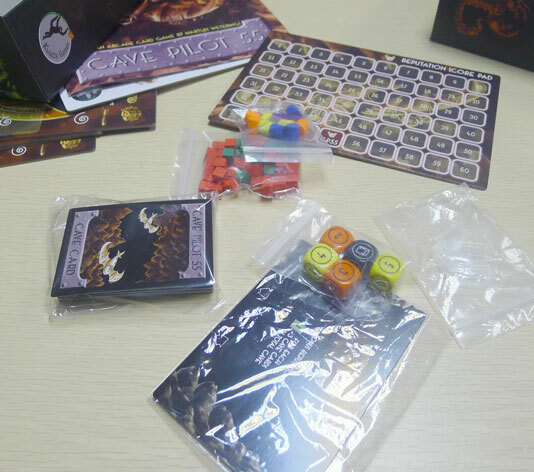 Additionally, we will sell some of the limited expansions that we still have from the Kickstarter project. We only printed 250 sets of each expansion to satisfy the demand of the backers that supported us earlier in 2016. See you at Essen Spiel !! Presently we have planned to demonstrate Cave Pilot 55 on the Ducosim game fair on Saturday the 23th of September 2017. 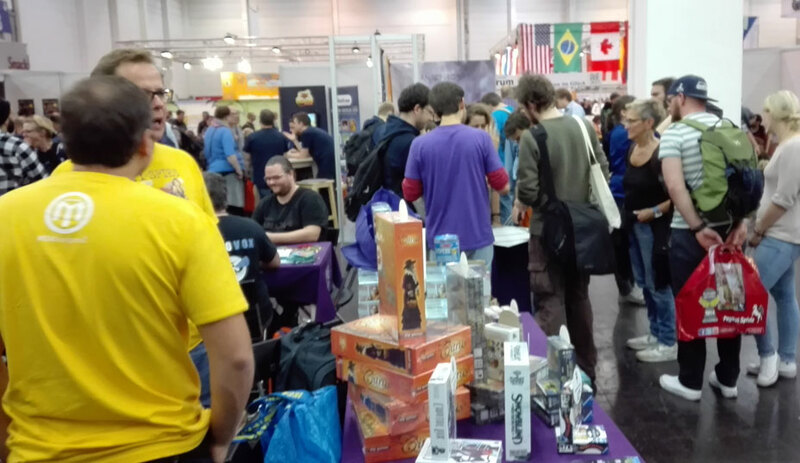 Besides demonstrations we also sell the game and some of the expansions. Come and join us in Amersfoort. 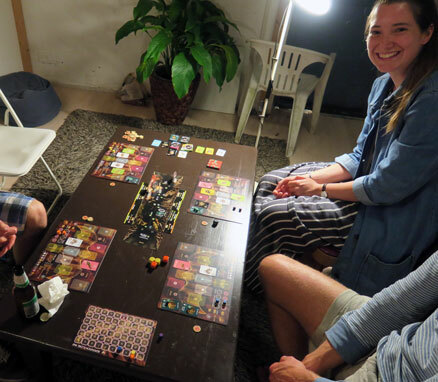 We have played two great four-player games with Joris, Rebecca, Koen and me. Alcohol free beer and a lot of crisps. 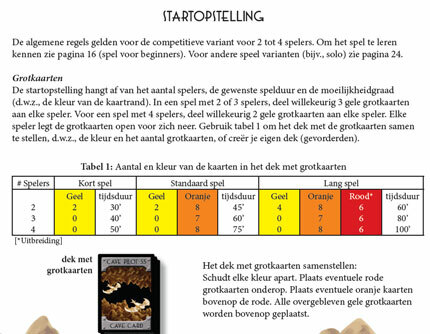 The English rulebook has been translated into Dutch. 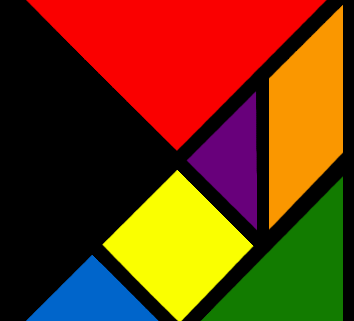 The 'Handleiding' and the 'Regels uitbreidingen' can be downloaded at the Media page. Yesterday we finished the packing of all European fulfillments. Today we have shipped all the European fulfillments to the European backers. The packages will arrive this week Wednesday or Thursday. Keep a close look at the mailman. 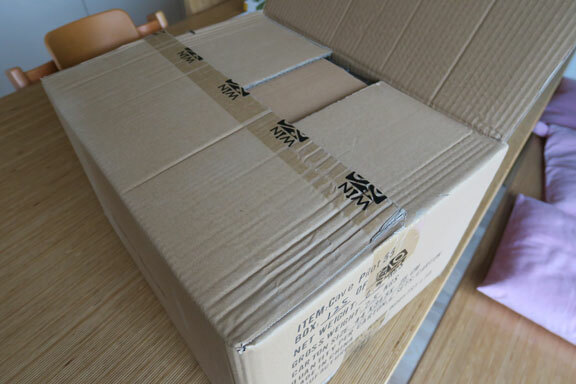 Next week we will start packing fulfillments for the overseas areas: United States, Canada, Japan and Australia. Packages for the overseas areas will probably ship on Saturday 10 June. Our first game was just signed and picked up by Rein Hofman. Today was the big day of the arrival of the games from WinGo. Three and a half pallet full of games. This was one of the most exiting moments during the creation of the game itself. 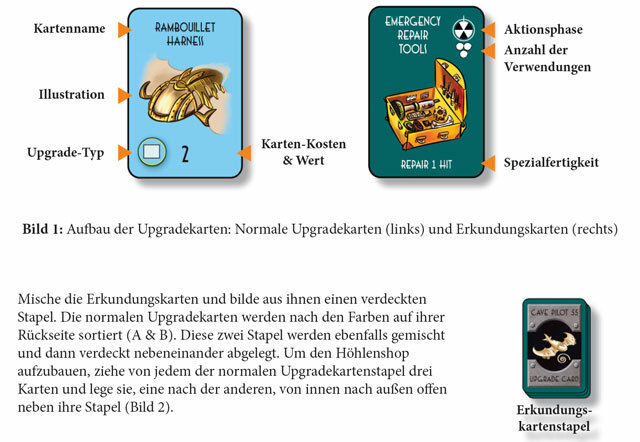 We have finished the German translation of the rulebook. 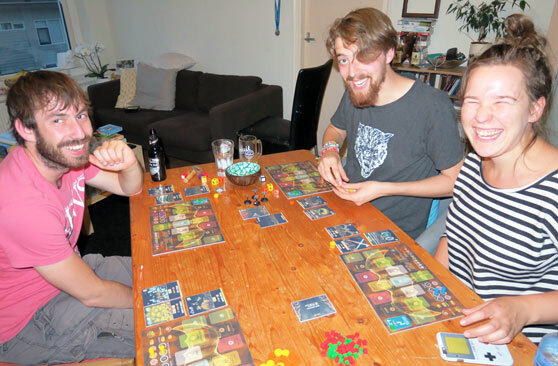 Dirk Johannes Dreeßen did the complete translation of the English rulebook (and expansion rules) into German, and together with Philipp Marwan reviewed the end result. We are very grateful for the tremendous help by Dirk and Philipp!! 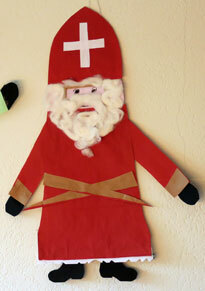 The 'Spielanleitung' and the 'Erweiterungs-Regeln' can be downloaded at the Media page. 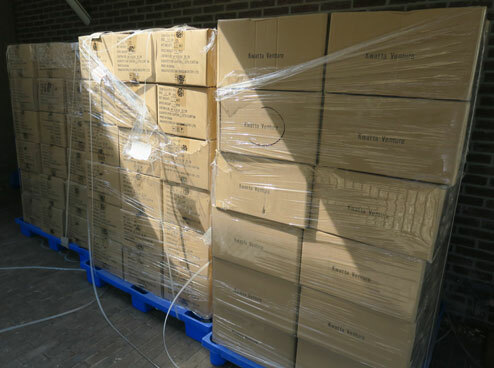 The games have been placed on pallets (100 X 120 X 165 cm) by WinGo and packed in outer cartons (44 X 34.5 X 25 cm) and wrapping, to protect the games for the sea shipment and transport to the Netherlands. The total cargo is 4 pallets: 125 boxes with 6 games/box and 11 boxes with 260 add-ons/box. 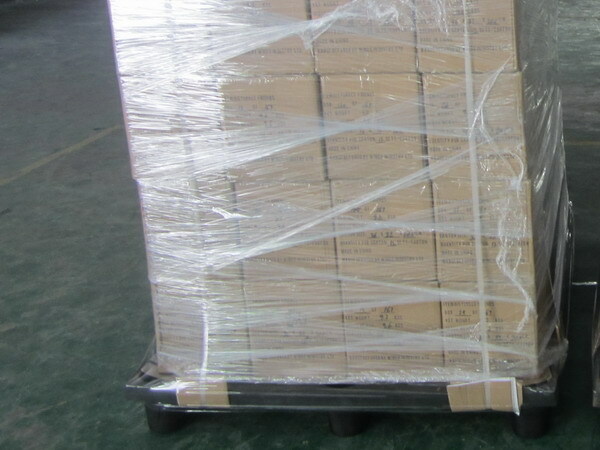 The total Gross weight with pallet is 1041.70 kg. Sea shipment will take about 6 weeks. 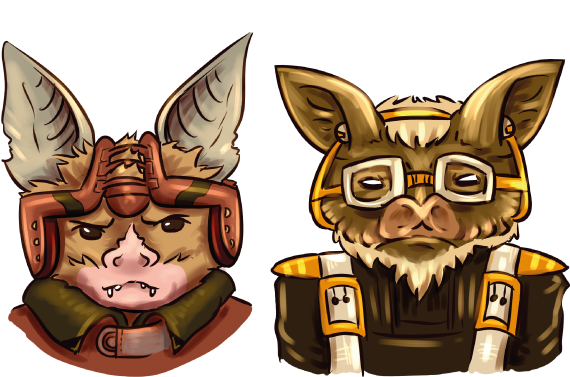 Today after 16 days, 79% of the backers has completed their request from the pledge manager. 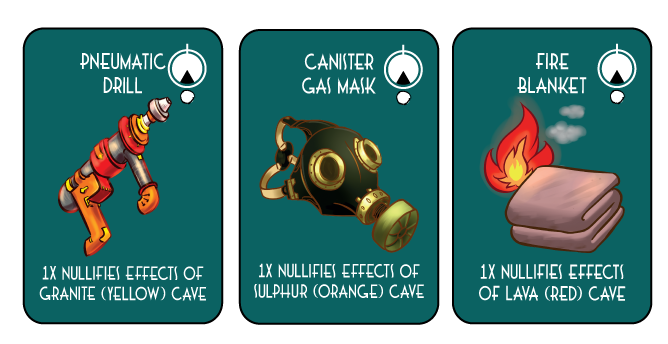 Besides the mini expansions with the huge beast cards, the Lava cave set is very popular, as well as the Faction set. 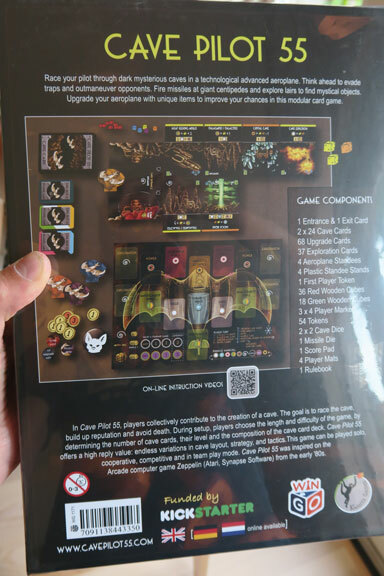 A first impression of the Spot UV details on the cover box and some of the game cards. Kwatta Games wishes you a happy new year! We are also working on a small update of the website. The game page will include the latest rules and the media page will include the latest rulebooks and print & play version. 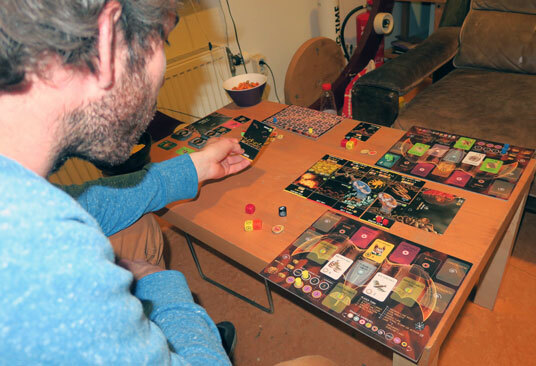 We have really improved our Rulebook based on the feedback by our backers. 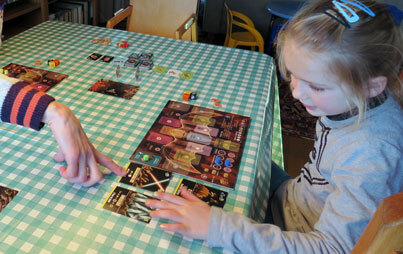 We have added a small beginner tutorial and guidelines for expert games. 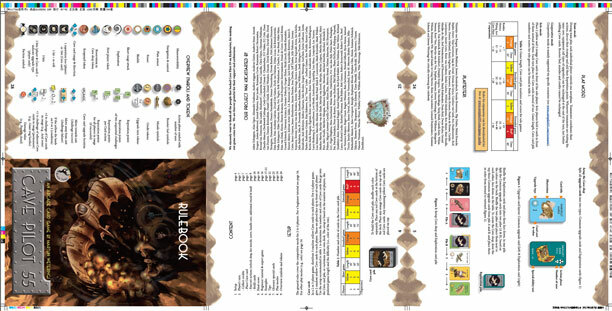 You can download the rulebook on our Media page (or click here). 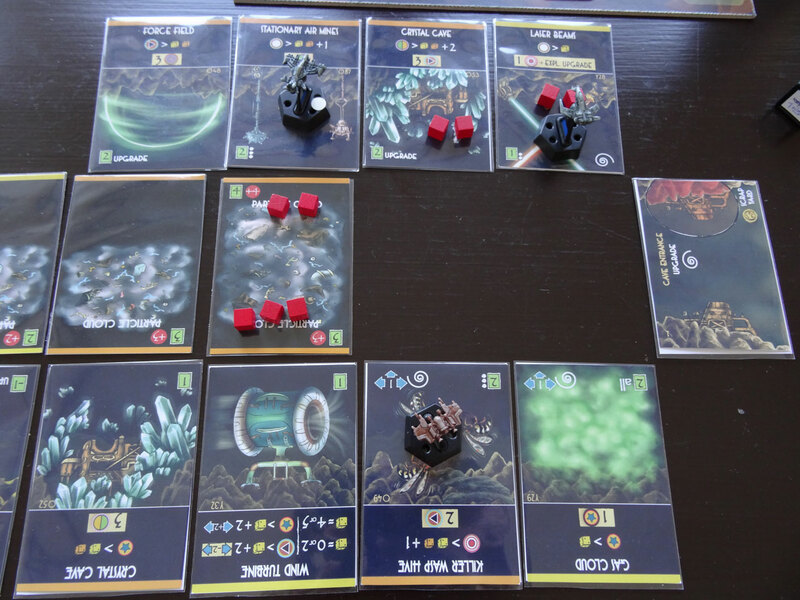 The Media page also contains the rules for the expansions. Click here to go to the Media page. 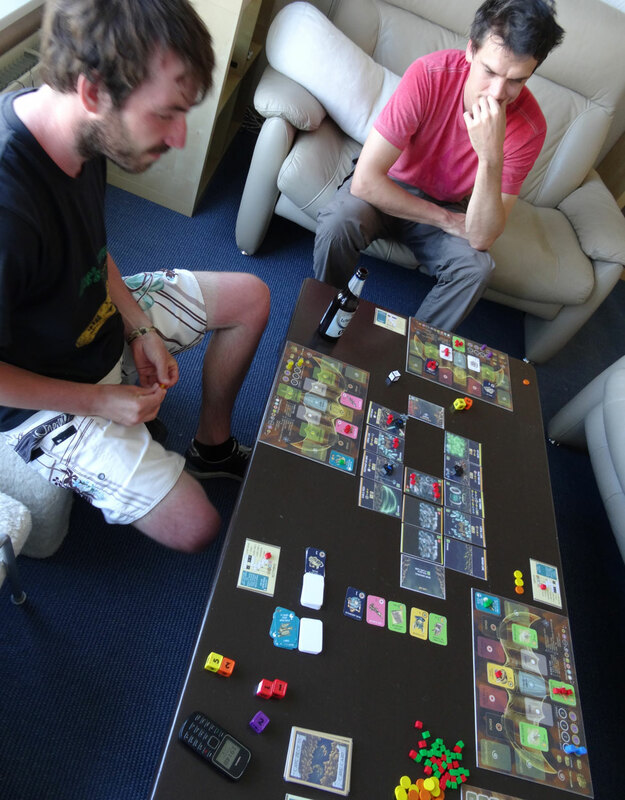 On the Droevendaal in Wageningen we played a two player game of Cave Pilot 55. Koen had a head start, later I thought I was winning, then Koen again and finally.... I won by 1 point. Really close. We created a cave with 4 yellow, 4 orange and 2 red caves. 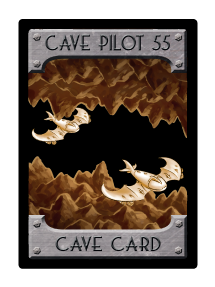 Look at these beautiful card backs that we have prepared for printing Cave Pilot 55. 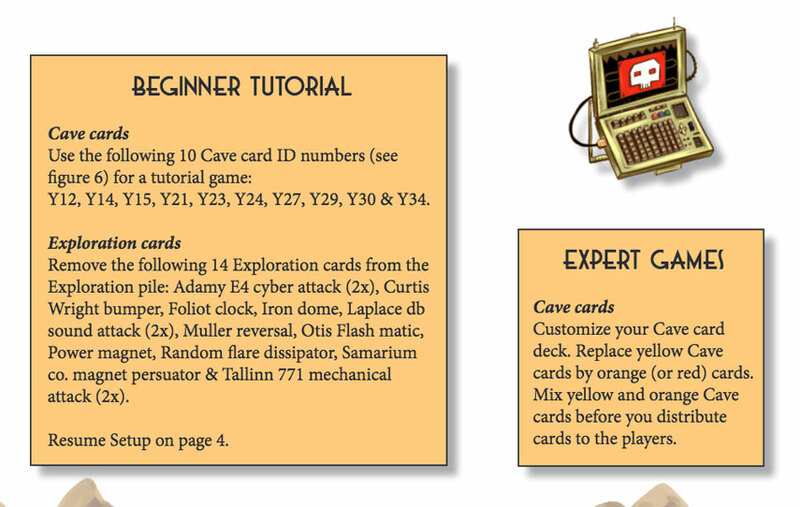 Cave card back (left), 2 new backs of upgrade cards (two in middle) and the back of exploration cards (right). 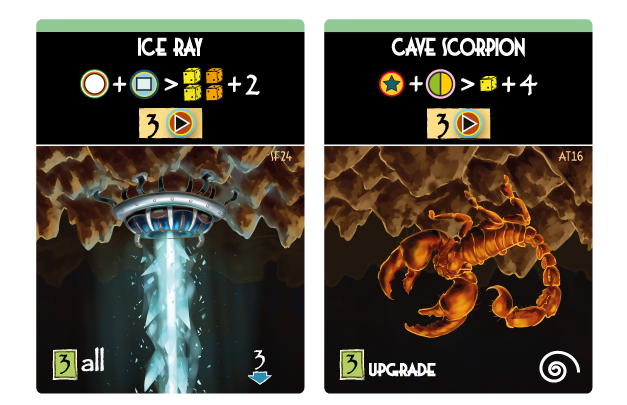 As you notice, the back of the new upgrade cards (two in the middle) now show the colors of the corresponding upgrade card types. 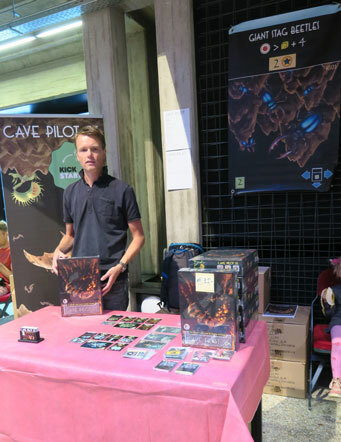 We have made a slight change in the setup of the cave shop, which is now split in two piles. 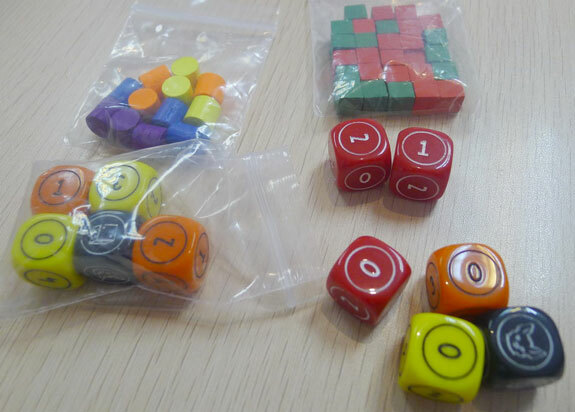 This reduces randomness a bit but increases the strategical choices of players. We have tested this concept at Spiel 2016 and it works great!! 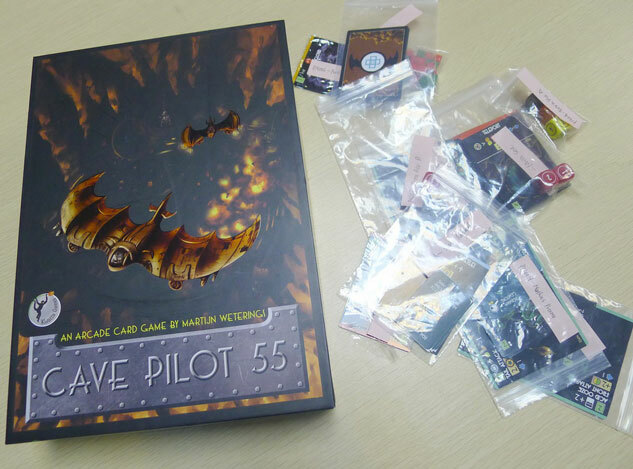 Many visitors came to play Cave Pilot 55 at the Wingo booth on Spiel Essen. Some fantastic games were played. 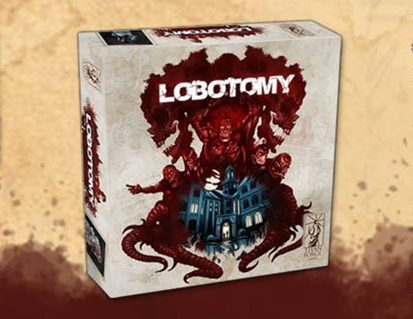 We really enjoyed this day and picked up our Kickstarter Lobotomy pledge from Titan Forge Games. 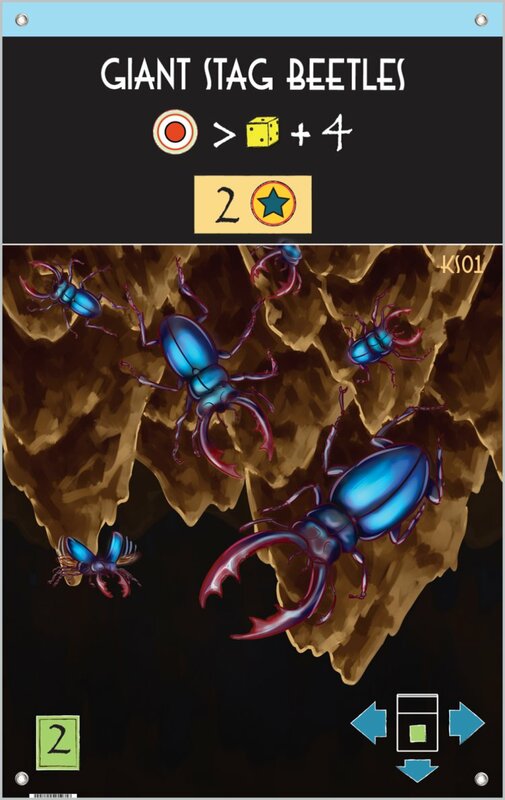 We are going to demonstrate Cave Pilot 55 at Essen Spiel 2016 on Saturday 15 October only. 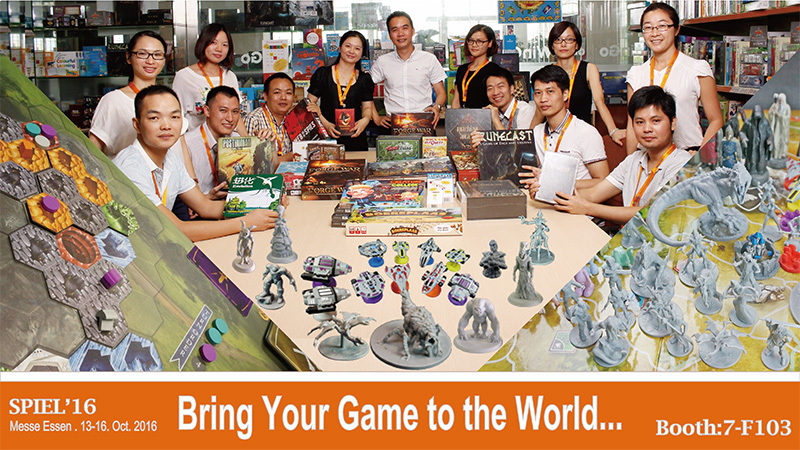 If you are interested to talk to us, to see the game or just to play the game, you are invited to join us in the WinGo booth (7-F103). 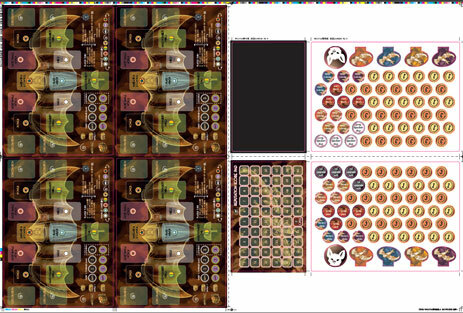 Have a look at the following art for the printed proofs: A detailed shot of the player stands, and an example of the complete punchboard (incl. 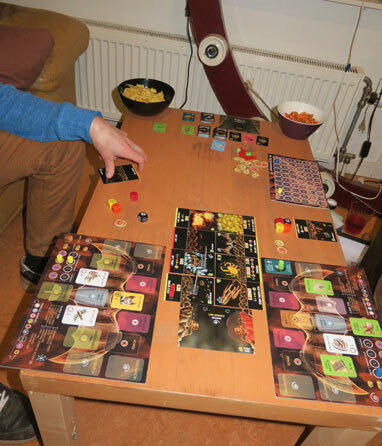 bleeds) with the credit tokens, the first player marker and several tokens for the faction expansion. 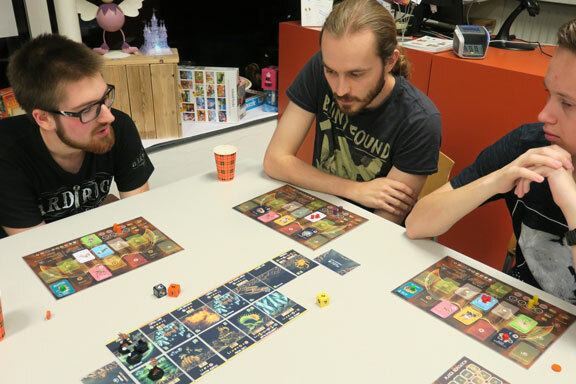 On Saturday the 24th of September, we are going to demonstrate Cave Pilot 55 in the Gameshop 'Bumblebeez' in Geertruidenberg (Koestraat 41, 4931 CP) from 19:00 p.m. onwards. We are looking forward to that. Join us if you are in the neighbourhood. 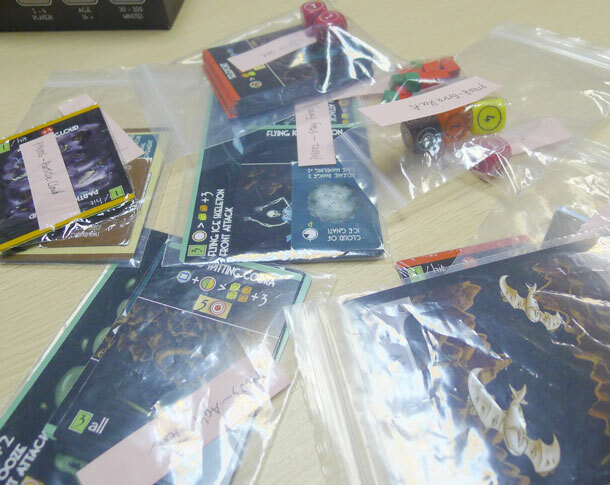 At the moment we are quite busy preparing the cards and boards of our game to make them suitable for printing at WinGo. Have a look at their website. 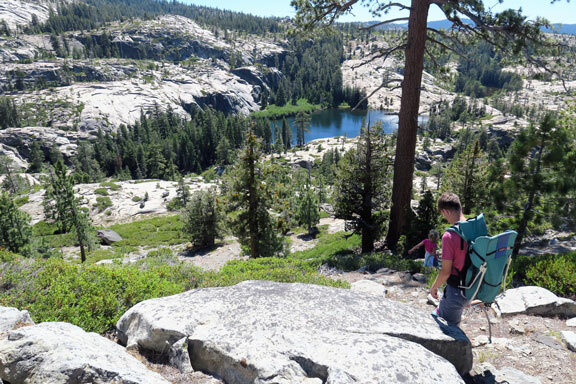 We have returned from a long trip to California in the USA. 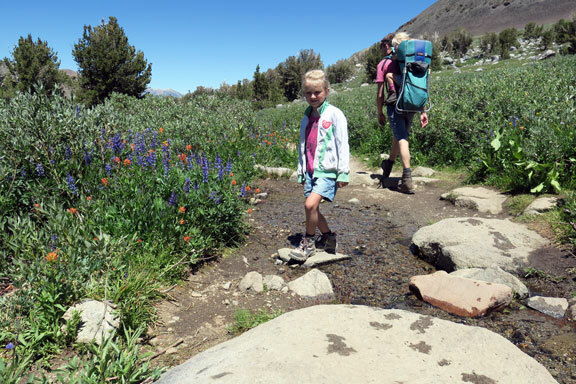 We visited several beautiful national parks and walked a lot with our kids in the 'Californian Alps'. 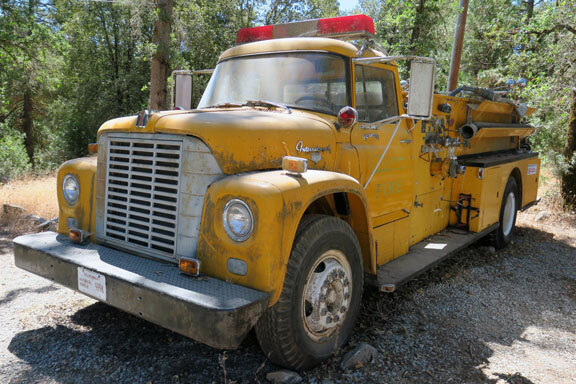 Fantastic scenery and georgeous trucks! We are funded on Kickstarter!! Lisa Mensing has translated our English rules into a 'Deutsche Spielanleitung'. You can download the German rules on our Media page. We are more than halfway our KS funding target!! We raced our planes through a cave filled with particle clouds. Ouchhh, we got hit and barly made it our of the cave. Matt kept his head cool and came out victorious. The Kickstarter campaign is still running great we are reaching 40% of the funding goal in 4 days. You as a backer could increase the visibility of our project by using social media and letting friends know that our project is worth backing. Click on the Kicktrack-button below to study the metrics of our campaign. 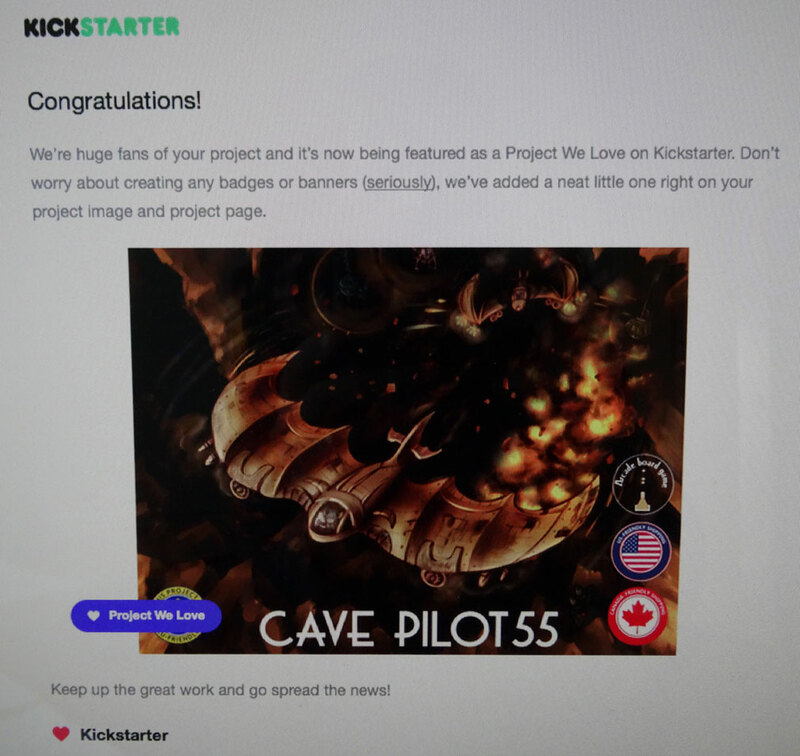 We are honoured that we have been selected as one of the favorite projects by Kickstarter itself!!!! The first day of our Kickstarter campaign is a succes! We hope to collect even more funds to beat the target. Just a couple of hours and we go live on Kickstarter!!! We have just uploaded several short instruction videos. You can find the links to these You-Tube videos on our 'Media' page. Lets have a look at some of the content of one of the expansion sets: the acid caves that harbor a monster you don't want to fly through.......... the acid Ooze. 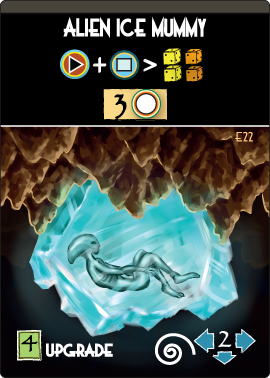 The whole set contains two exploration cards, four cave cards, one enormous monster and its accompanying card. We are back from a short holiday after two intensive months of moving to our new home. 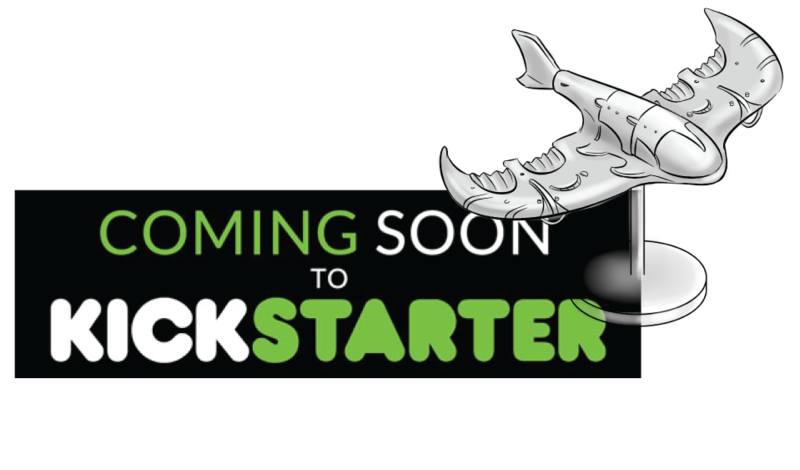 At the moment we are preparing ourselves for the Kickstarter launch, and decided to launch the project on Monday May 30 !!! 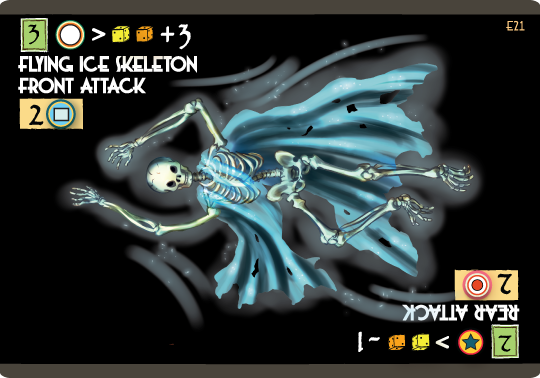 We still have three weeks to go to finish off the details and plunge ourselves in the world of Kickstarter. Join us and support our project!